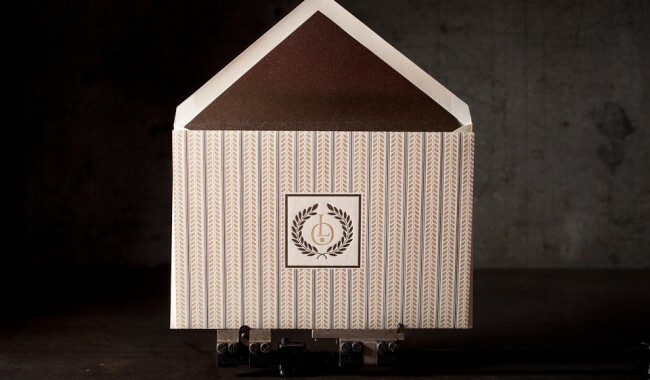 corporate invitations for an opera house. 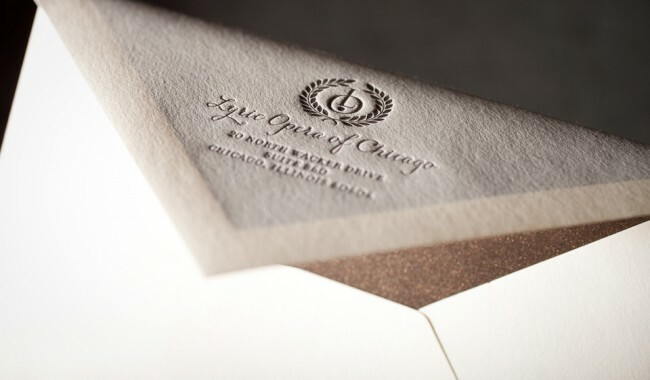 letterpress and offset printing. Smock ivory 1-ply + 2-ply bamboo paper. 2 letterpress inks (espresso 476U + gold 466U) and 1 offset ink (gold 466U). 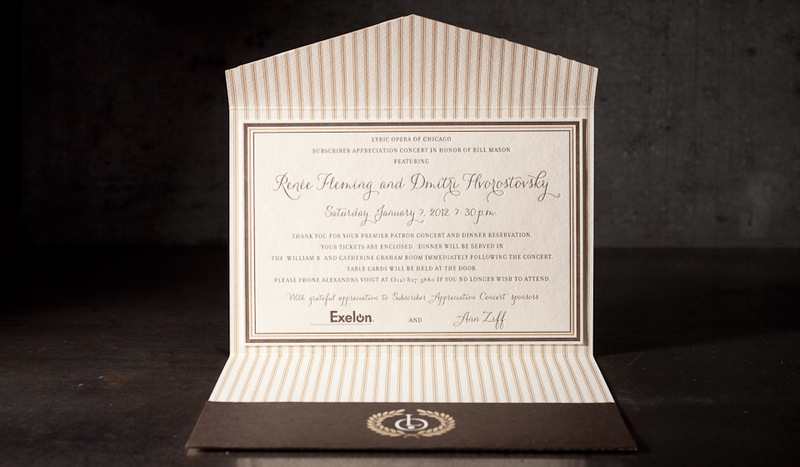 letterpress invitation (5.125 x 7.75), custom folio (die cut, double-sided letterpress printing), lined outer envelope.